Following a successful MAW event in Beijing, the MAW team packed their bags and headed to Shanghai for a first of its kind gaming event. 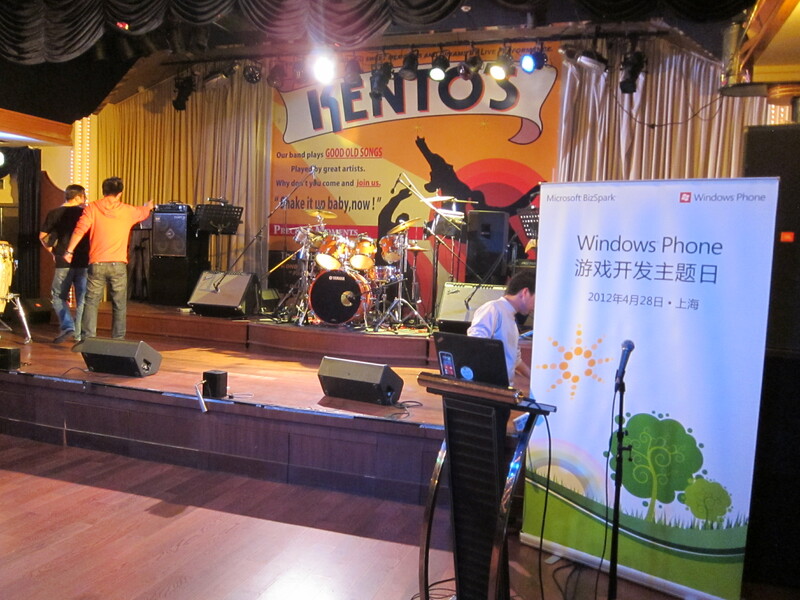 The event took place on April 28, well timed with Nokia’s launch of the Lumia 610 and 800 the same week. Participants gathered for a special “MAW Weekend” focusing on game development for Windows Phone. 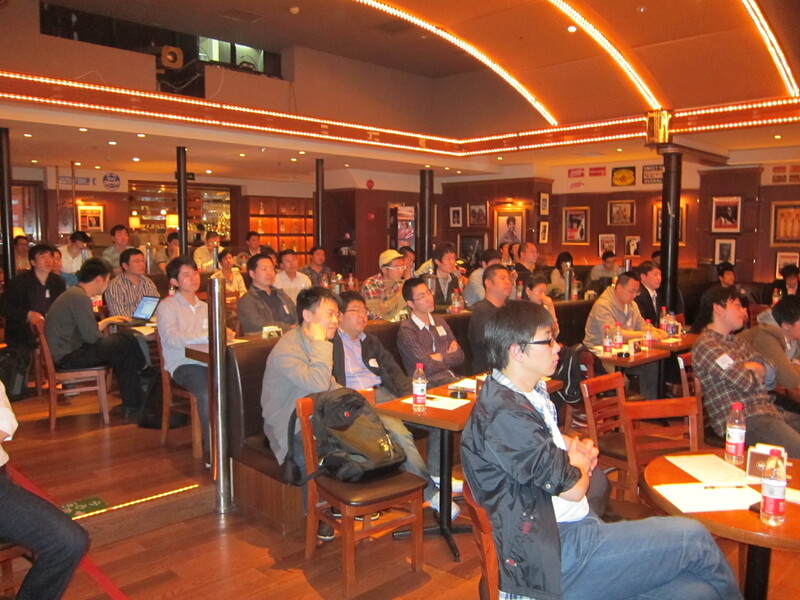 The event was extremely well received, with over 150 developers in attendance! This was also the first MAW hosted at a bar, which just goes to prove that mobile apps and beer go well together. Windows Phone has a unique game development platform, with XBOX Live integration and an active gaming community which was a point of interest throughout the day. The event focused heavily on content, with 11 separate sessions, ranging from XNA to HTML5. 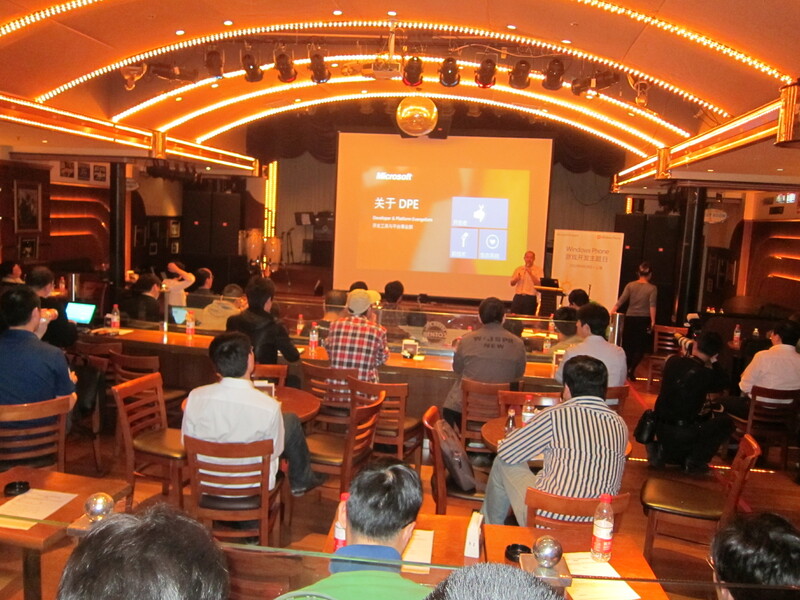 Partners Nokia and Tencent attended throughout the day and presented at the event. Brian Hoskins, SEBT at Microsoft, kicked off the event with a welcome presentation about the unique format for this event and an overview of the MAW program. Leody Fu, Microsoft, and Tim Xiong, Microsoft DPE, then took the stage. They presented on the BizSpark program, Be Top opportunities, and introduction to the Spring Phone Program. Michelle Wei, Nokia EDX, made a final presentation before a short tea break. 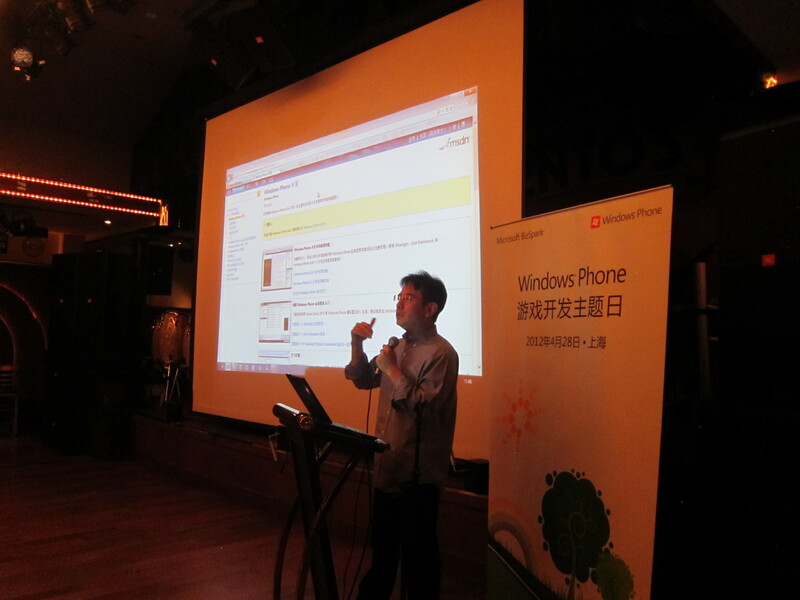 Wei talked about the Nokia strategy and trend on the Windows Phone platform. Following a tea break, Tory Xu, Microsoft DPE, was up next. Xu talked with the participants about game development on Windows Phone. Attendees then took a break for lunch, networking, and Q&A. With full stomachs, the participants settled in for an afternoon of presentations. First on the docket was Tory Xu who spoke on the benefits of WP SDK for game developers. Zhi Li, Vice GM of CT Game Center, was the second presentation for the afternoon. Li presented on the CT Game Center on WP. Tencent representatives closed out the afternoon with two presentations. Benny Meng, Director of Tencent Wireless, spoke on the Tencent Game Center on WP. Carlin Shu, Technical Director of Tencent Weibo Open Platform, then touched on Tencent Weibo on WP before participants took another networking break. Following the break were three final presentations before the day came to a close. Ronghong Huang, cocos2d-x Community, took the stage to address the audience about the WP game engine: cocos2d-x for XNA. Stephen Wu, CTO of Muhe Game, then presented on MMO mobile game on WP with HTML5. To finish out the busy day, Jianying Li, WP Expert, spoke on WP game development with XNA. Overall, it was a very busy and informative day. The participants had the opportunity to network and listen to development and gaming experts speak on a variety of topics. We are excited what the developers will produce with all this new and exciting information! Next stop for MAW? Berlin! Make sure to check back for event updates or stay tuned to Twitter for updates. You can also find more general information about MAW on the homepage and application information here.